Poured from a 19.2 oz “Stovepipe” can into a nonic glass. The body of the beer is slightly hazy, amber-ish orange in color. 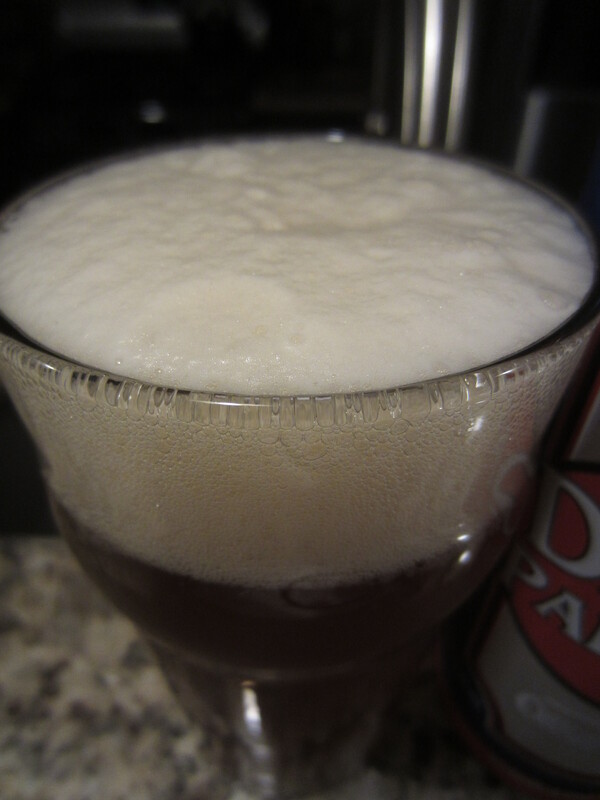 A good sized sudsy, yellow-hued, off white head is poured, which retains pretty well and leaves decent lacing. 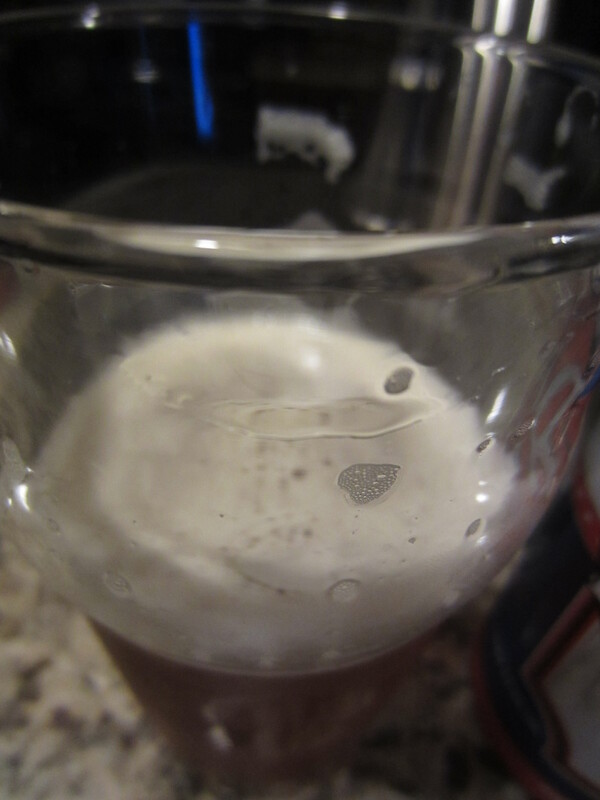 Medium carbonation is visible in the glass. The hops take center stage; mostly orange/tangerine citrus mixed with earthy hop tones, as well as a bit of pineapple. Sweet aromas from the base malt also come through, lending some balance to the profile. 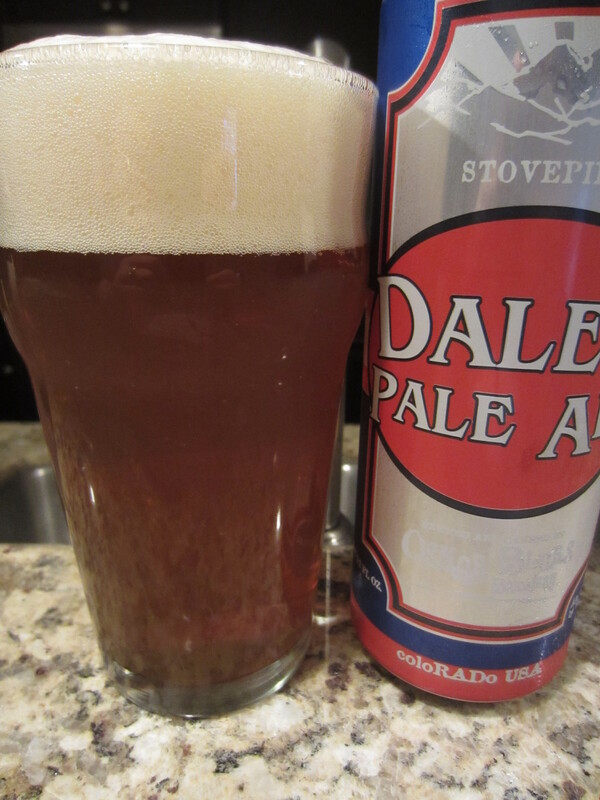 Dale’s Pale Ale has a pretty full body for a beer of 6.5% ABV, with medium light carbonation and hop bitterness creating a surprisingly smooth mouthfeel for its 65 IBU’s. The citrus and fruity esters from the aroma come through in the flavor, mixing with the sweet and biscuity malt tones. As it sits out, the malts become cleaner and smoother. The finish is nicely balanced between the malt sweetness and lingering citrus and earthy tea bitterness. 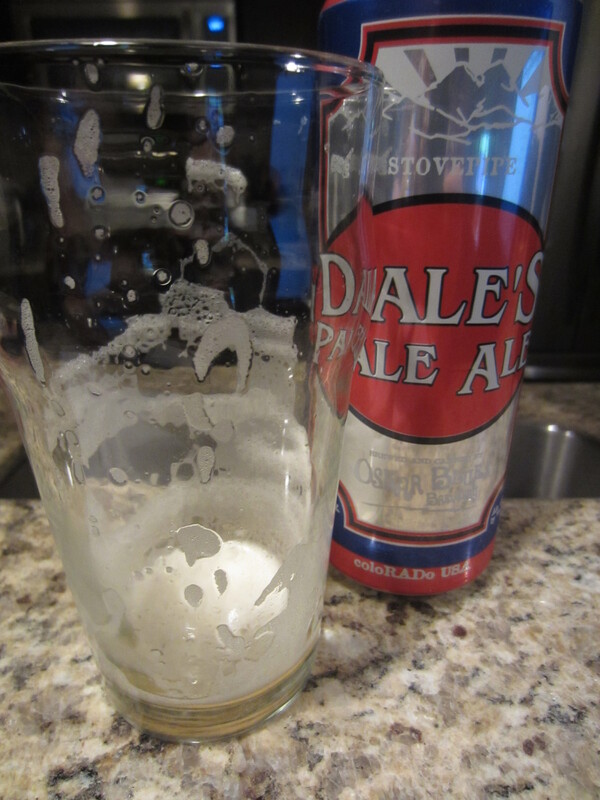 Oskar Blues Dale’s Pale Ale is a pretty well balanced ale. The flavor and aroma profile isn’t as great as I remembered from when I first tried it, but back then I was already a few pints in. Drinking it for the purpose of reviewing, I feel a bit different about it. There is plenty of flavor offered, but the bit of pineapple-like sweetness (that I’m sure many find appealing) is just not my thing. 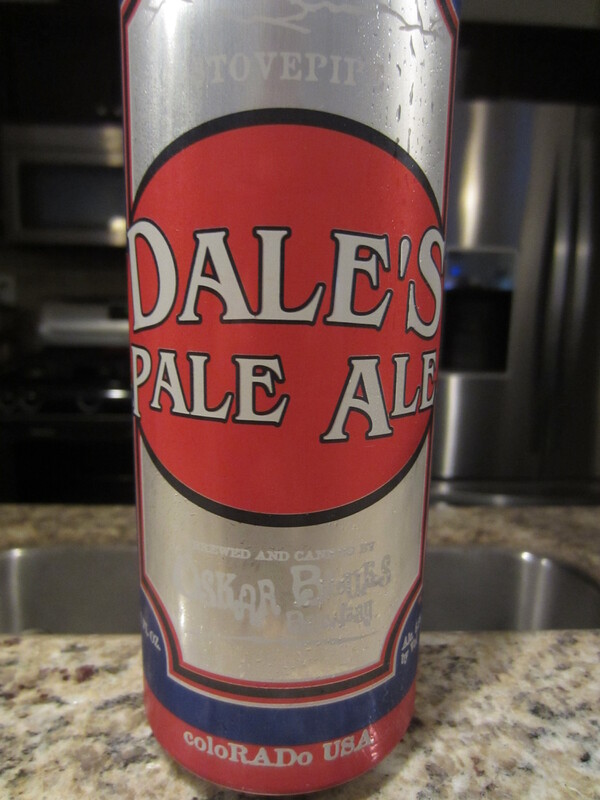 It is a quality crafted ale, but I don’t find it as great as most others. That’s part of the beauty of drinking beer, not every person is going to feel the same way about every beer. So, my score and experience is just my opinion. A guideline for you, the reader, but everyone’s experience will very. 7/10.